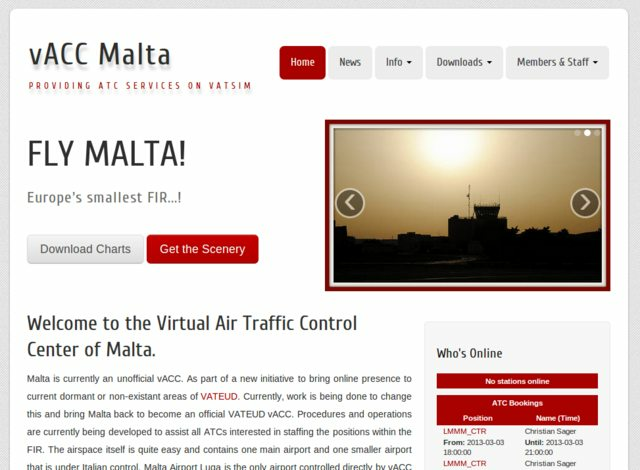 I'm happy to announce the launch of yet another Rails project: the website of vACC Malta. Under the hood it features a customized Refinery CMS integration, multiple aviation and vatsim related Ruby libraries, developed by me previously. On the frontend it's Twitter bootstrap, HTML5/CSS3 compliant, with a nice red/white color scheme (the colors of the Maltese flag). I wish my friends in Malta good luck with their new vACC and blue skies!